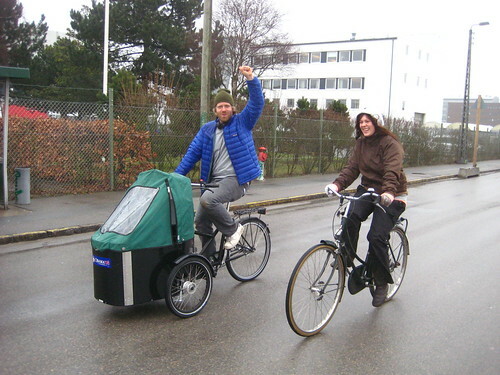 There's little doubt that cargo bikes are practical machines. 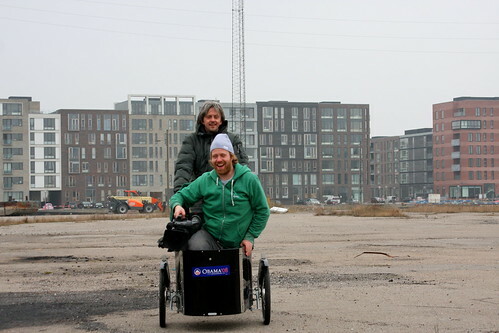 Here in Copenhagen, with an estimated 30,000 cargo bikes on the streets, we take this utility concept to other levels. I've spent the last three months shooting a science programme for kids and our photographer's Nihola bike - which he used to get to work - came in handy while shooting. 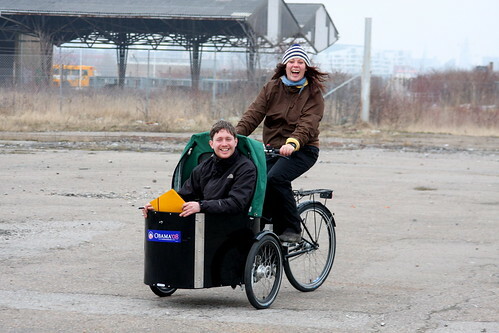 We used it as a dolly for some shots, with me pedalling the photographer in the cargo box. In the urban wasteland where we were shooting, the bike was a handy seat when the scripting work needed to be done. The bike was perfect for crew transport when we had to get back to base. And the bike, after a hard day's work, was ridden home in normal fashion. The science programme is called VOLT and you can see the programmes broadcast thus far on the website. It's in Danish, but hey. In episode 5, on the right, you can see how we built an electric bike using a battery-driven drill. Quite fun.